Bang 10 to the power of -37 is an artwork made by mixed media (wood, paper, common objects) and belongs to the artistic project memories box. In the back the artist has written an explanation of the title: the connection is the Big Bang theory, and in particular the Baryogenesis theory. BANG 10 to the power of -37= Creative state of mind 10 to the power of -37 seconds after the intuition. 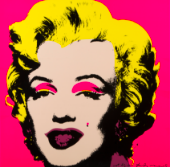 The artwork is signed and dated by the artist and comes along with the authenticity certificate. The archive number is 0114223. 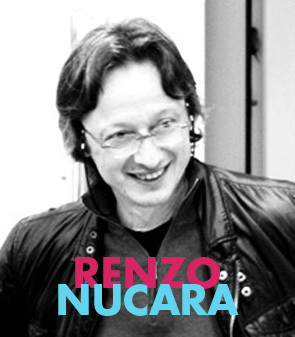 Renzo Nucara was born in 1955 in Crema (Italy). 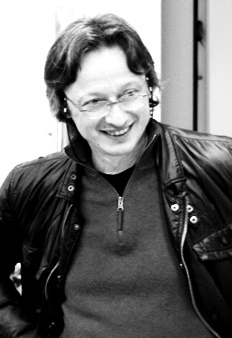 After graduating from the Artistic High school of Bergamo he attends the Fine Art Academy of Brera. When he’s just 22 years old, he has its first exhibition in Milan in the Ticino Gallery. The artworks of the early ‘80s are based on the theme of the personal Diary: Nucara puts on the canvas feelings, memories and facts of the day, with sentences writen in reverse or fragmented in order to reproduce a game between the evident and the ambiguous. Through the years his style evolves and gains 3-dimensionality: he creates the Memories Boxes, with small recovered objects , films and pieces of wood. In the ‘90s Nucara returns to the bidimensionality creating the Reperti, that represents the shape of an object already ruined by the time. In order to create this shapes, the artist uses at first papier-mache and foam, then he passes to plastic in which he puts colors, pigments and natural elements. In 1993 he founds the Craking Art Group, a movement that uses plastic as fundamental material. Nucara attends the Biennale di Venezia with S.O.S World, an installation of a thousand of turtles made by reused plastic, and dispersed around the gardens of the Biennale. Moreover, Nucara developes the Resifilm: layers of pigments, resins and natural objects. These works then become the base of the current Stratofilm.